Several weeks ago I spent a glorious 5 days in south western New York with my new friend Jen Mills. I was eager to meet Jen because she teaches Energy Medicine - a modality made popular through her mentor, Donna Eden. Jen uses a number of healing modalities such as Reiki, color therapy, and more. In a very short time, I was able to learn so much from her. She is amazing. 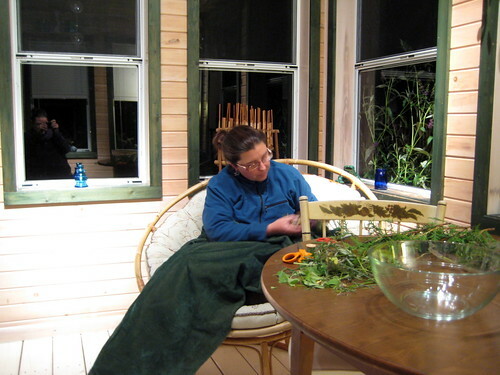 The last night I spent with her and her family, we gathered herbs and flowers from her garden to make into herb bundles. Once dried, they could be burned and their fragrance... ah... oh so beautiful! 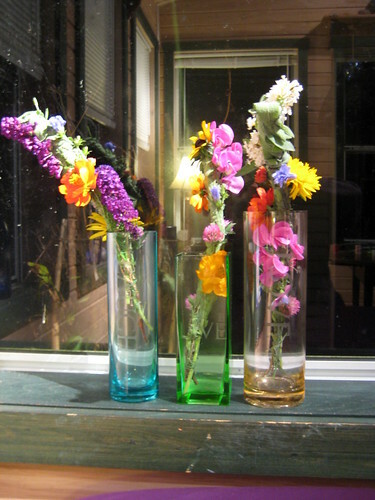 Jen gathered the flowers and I cut the herbs. 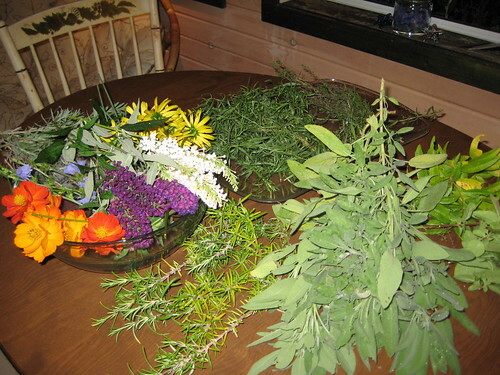 Lavender, rosemary, sage, savory, lemon verbena, oregano, tarragon... We also included some cedar from one of her trees. My method was to bind everything from top to bottom in cotton thread. 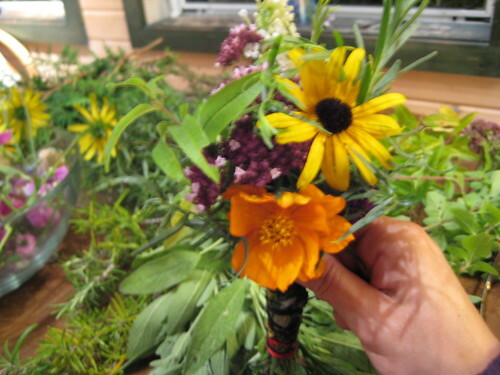 Jen was a bit more thoughtful when binding hers, allowing the flowers to stick out - so pretty! My finished bundles.As of now, they are somewhat dry and I have already burnt part of one. That last night at Jen's was really emotional for me. Getting to know her family, they were just so very good to me. I sat there that night crying tears of joy into my bundles. 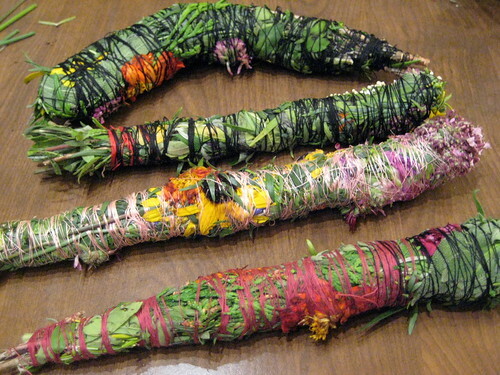 When I lit one of these the other day, the fragrant herbs took me right back to her house, sitting in her screen room, listening to music and reflecting on the time I spent with her. I cannot WAIT to see her again! Oh...can't help myself...a recommendation for additional authors on the subject... ...anything by Susun Weed, Rosemary Gladstar, Dr. James Duke, Judith Hawkins-Tillirson, Silver Wolf Walks Alone, Diane Stein, Aoumiel, and Scott Cunningham. The Wildflower Folklore book we had in the room with us by Laura Martin is out of print, but still available on Amazon.